'Life' had its first official screening at Berlinale and these are some of the reactions to Robert's performance in the film. Please keep in mind that reviews can contain spoilers. "For Robert Pattinson, his take on iconic photographer Dennis Stock is equally as impressive as he enters the world of Hollywood from the other side of the carpet (and at bottom). Spotting Dean's talent early, Stock, in the two-hour running time attempts to get photographs of Dean before fame kicks in. Deadlines, pressure and awkwardness soon mount-up, and Pattinson expertly presents it onto screen." 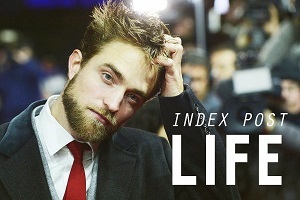 "Robert Pattinson impresses in this stylish drama about the relationship between celebrity and the media." "An intense mob formed around the Berlinale press screening of Anton Corbijn's Life — such is the continued allure of Robert Pattinson. His fans beyond the festival will be pleased to hear that his brittle performance as LIFE magazine photographer, Dennis Stock, outshines Dane DeHaan's over-baked rendering of James Dean, although the latter is poignant enough to enliven this tale of men helping each other to take a leap into greatness." "Pattinson's performance is as crisp as the white shirt and black suits his character always wears. This is a camouflage for his own problems that slowly unfurl, adding colour and improving the film." "Pattinson steps up, allowing more of his character's insides to come out. As Life proceeds the pace picks up and by the third act, it is a compelling dramatisation of an artistically fascinating alliance." 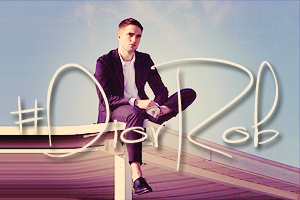 "Stock (a show-stealing Robert Pattinson) first meets Dean at an LA party hosted by director Nicholas Ray." "As it is, the main things you'll remember are Pattinson's best performance and the finest projectile vomit scene you’ve ever seen." "Robert Pattinson is perfectly cast as Stock, a man adrift with an ex-wife from a teenage marriage and guilt filled about the young son he never sees." "While Pattinson has endured a lot of gratuitous bashing post-Twilight, he gives arguably the most fully rounded performance here, even if the character is inconsistently drawn. The photographer's challenges seem as much due to his own insecurities as to the subject's flakiness. But the conflict concerning whether James will or won’t deliver for Dennis' camera never packs much urgency." "To be fair, Corbijn does an impressive job of restaging those moments, so much so that one might suspect that he's not really interested in the people these guys were as much as he is interested in the images — in the interplay of light and dark, the composition, the clothing, the locations. That's where he seems to come to life, and suddenly I wondered if the whole rest of the film was really just a smokescreen for an experiment in imitation. If so, it may have been successful, but at the cost of the film around it." "The two leads convince as actors; it’s the characters that are more of a problem. DeHaan method acts his way into the persona of a consummate method actor whose cool persona was partly a protective screen; his Dean is very much in the mould of the Dean remembered by his East Of Eden co-star Lois Smith, who once said: “He was a sweet, rustic person, but there was also this suspicious, taut, guarded young man”. Pattinson’s hangdog character is defined by an exchange in which, after Dean tells him he’s disappointed in him, he replies “you’re not the only one”." Perfectly cast, show stealer, outshining .. wow. Awesome news. Pictures??? Was he even in Berlin?? So many good reviews! Can't wait to see this film!!! !